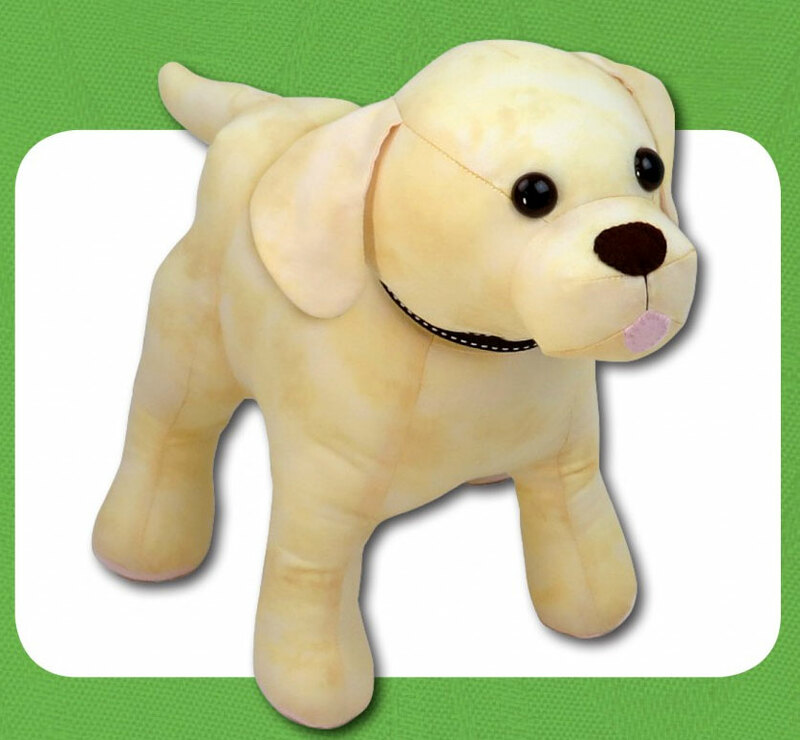 Lucky the Labrador is a bouncy, fun-loving pup. 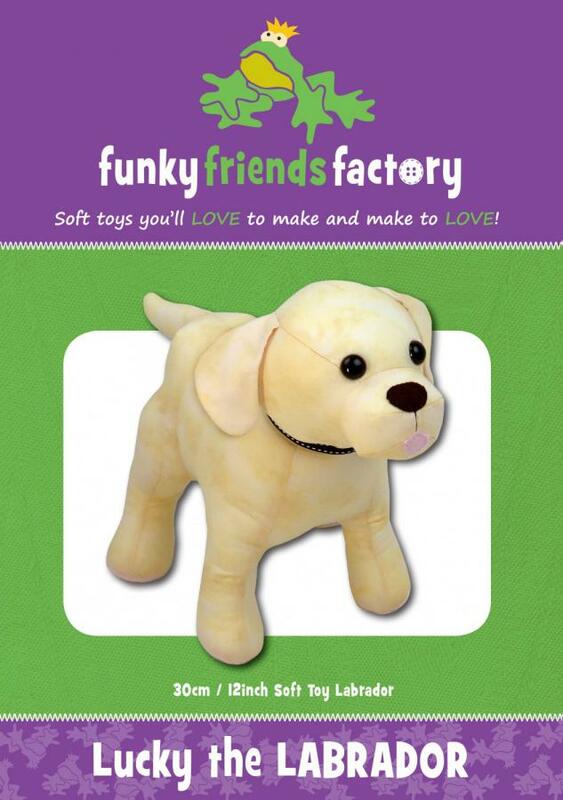 Lucky is so cute you will want to make a lovable and loyal companion for everyone who has a Labrador or cannot have one! 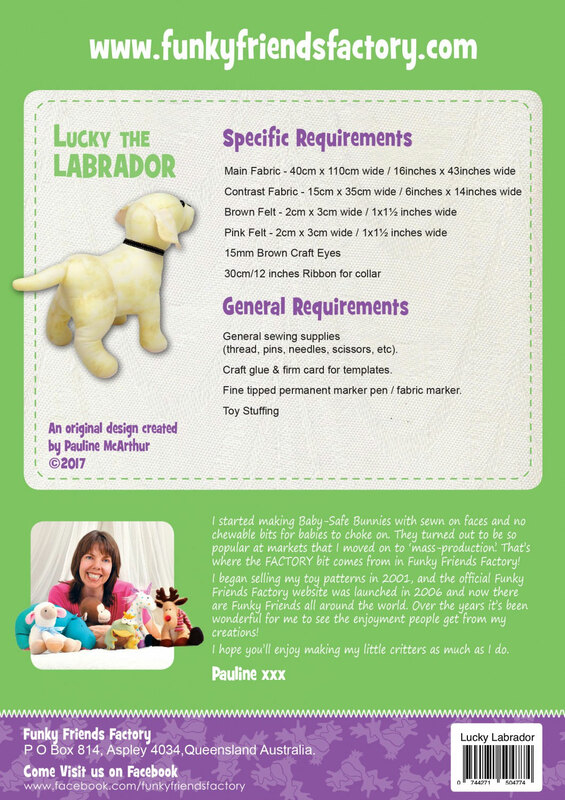 He has got a lot of pieces so we would not recommend this pattern for beginners but if you really want one, we are not going to stop you - everyone needs their own puppy! 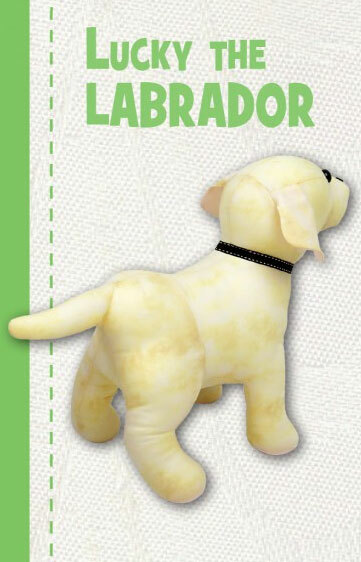 This Labrador pup was sewn with quilting cottons but you can also use knit/stretchy fabrics. Finished size for Luck: 12in tall (30cm) x 15in long (38cm) nose to tail.